• Originally bred in Northwestern Scotland, the West Highland Terrier was a working dog used to clear farms, barns, and mines of rats and other critters. They are also expert hunters of fox and rabbits. • Their beautiful snow-white fur helped to keep them safe during hunts. It was in the 1800’s that Scotland’s Colonel Edward D. Malcolm went hunting with a pack of Cairn Terriers. He accidentally shot his favorite dog after mistaking him for a rabbit or fox. He swore to only hunt with white dogs after the tragedy so they could be easily seen. Cairn and Scottish Terriers are sometimes born white, so they were bred until the puppies were consistently white. Voila! The Westie was born. 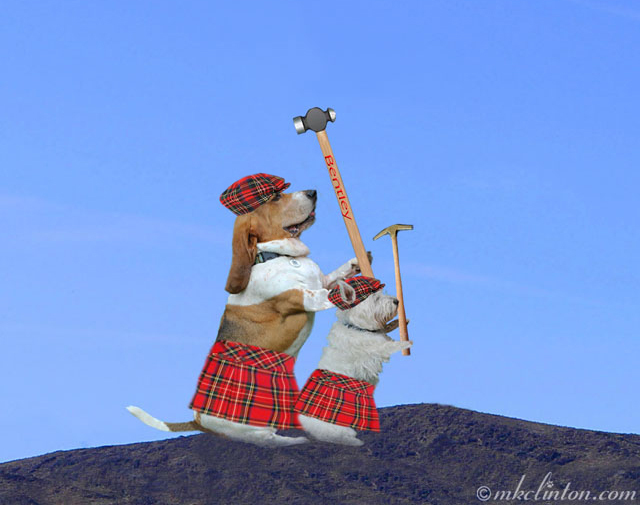 • They were born to dig up varmints so if they hear something burrowing underground, they are going to go after it! Pierre has caught several moles with his rapid-fire digging. • They require grooming whether they like it or not. Pierre is not a fan, but he has gotten better. The Westie has a double-coat. The top layer is wiry to help shed dirt and debris from digging (see above). Their bottom coat keeps them warm. Regular brushing and haircuts can help prevent painful mats. 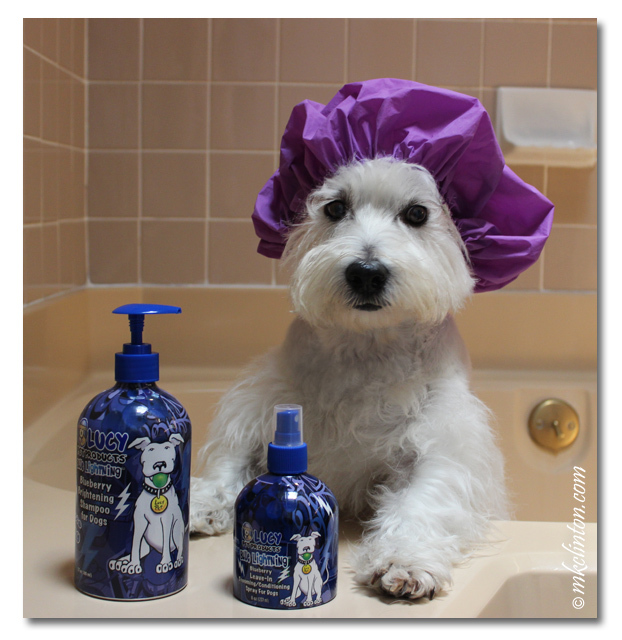 I recommend *Lucy’s Pet Product Blue Lightning Shampoo and *Conditioning Spray to keep any white dog clean, bright, and tangle-free. 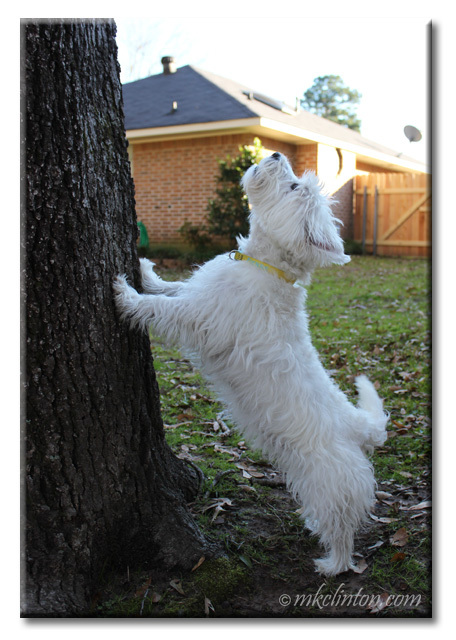 • Westies are loud-mouths! It’s not their fault, it’s just the way they are made. When they are in the woods hunting, it is not unusual for them to tunnel underground. That ear-piercing bark was the only way the hunters could find them. • Westies are sweet dogs with a winning disposition. Pierre loves everyone and is quite honestly the happiest dog that I have ever been around in my life. He is a complete joy to have in our pack. * I am an affiliate with Amazon and if you use my link, I might qualify for a commission. You've got to give barn hunt a try, Pierre! You would be perfect at it! 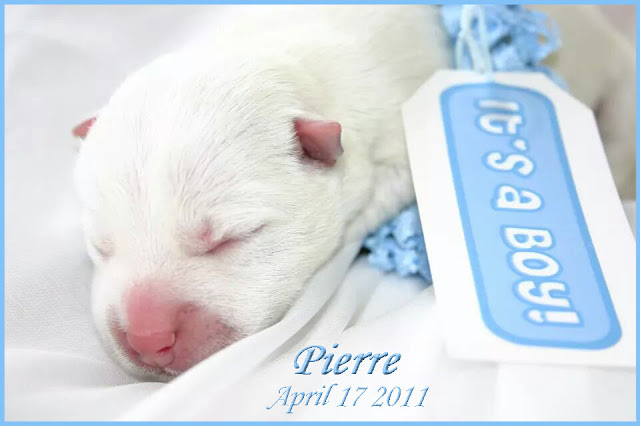 Yay for the go-to-ground Terriers, Pierre! We have met several Westies in our travels and they are always so sweet and energetic and happy! We learned a lot about your breed today, Pierre. Mom once had a Cairn terrier mix and she was a hunter too. 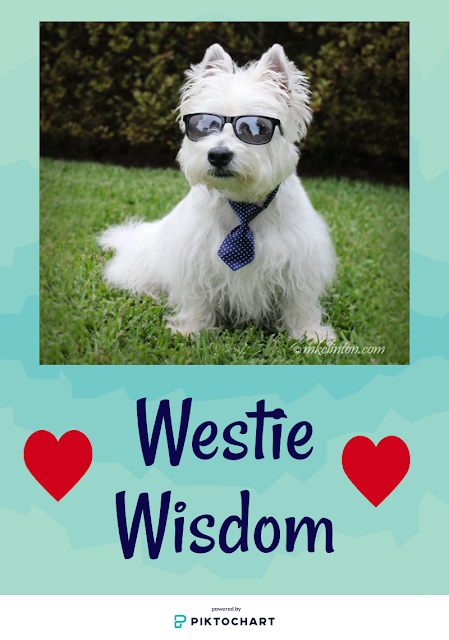 Pierre OMCs what wisdom from my wise Westie. 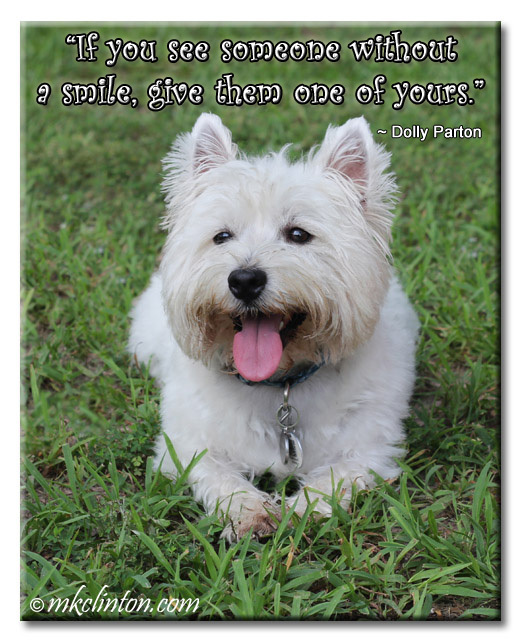 I love your quote by Dolly Parton. And yeah, we definitely has a LOUD bark - Brinley barks da TV constantly. I prefer barking cats and peeps and random noises. Fun to learn all about your breed Pierre! OMD, that is too cute dude! I likes to bark too...butts mine is more like a Rottweiler...unless I do my 'whiny bark' then it is ear piercing (according to Ma)! It sounds like we could use a Westie here on the farm!! 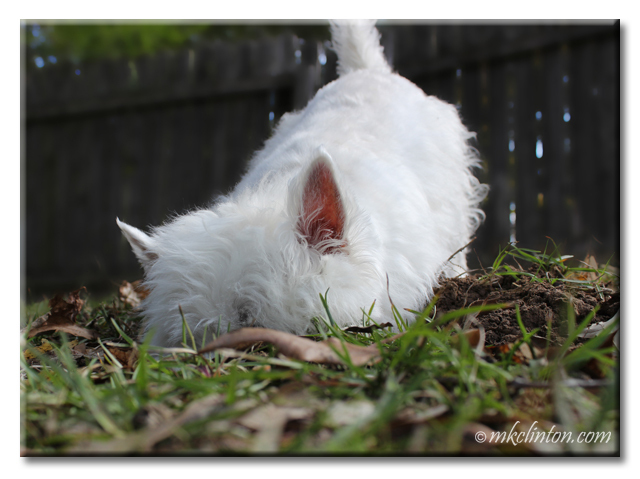 Thanks for the info on Westies, what sweet photos.